Home / Entertainment News / Caught on camera! 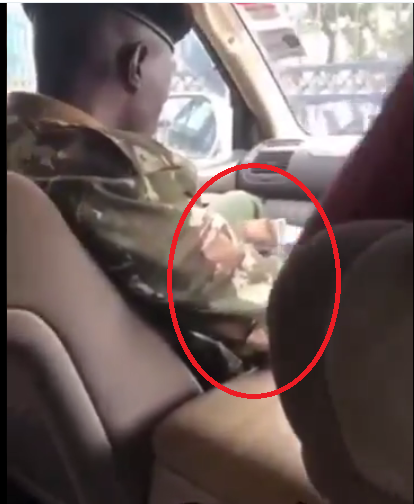 This Kenyan COP was recorded taking a bribe of Ksh 15,000, shameless vampire (VIDEO). Caught on camera! This Kenyan COP was recorded taking a bribe of Ksh 15,000, shameless vampire (VIDEO). Thursday, October 11, 2018-The once disciplined Kenyan police force is completely rotten and one of the most corrupt institutions in Kenya. Kenyan Cops are addicted to bribes and that’s why impunity is on another level. This rogue cop was recorded taking a bribe of Ksh 15,000. Check out this video shared by Nyakundi.